Part of the fascination of Anthony Bourdain was watching him eat appalling foods with a big grin, knowing he was grossing you, small minded America, out. He was prone to remarking he had the best job in the world but watching him eat stuff I could barely look at left me knowing his was a job I couldn't possibly do. Then there is the filming. Even on those days when he is eating recognizable food in a familiar setting one has to remember his was not an ordinary journey made by a private citizen. No, everything he did was filmed in a huge production. Who would like to eat like this? I was quite surprised to see how many people I knew enjoyed watching his documentaries on travel and eating. Looking further afield it became apparent that a giant love fest was underway for the 61 year old man who had overcome so much to achieve fame and fortune and throw it all away subsequently at the end of a rope. And he left an old and dear friend to find his gruesomely abused body. That is unimaginable to me: walking into a hotel room to find your good old buddy hanged by the neck and dead. Awful. 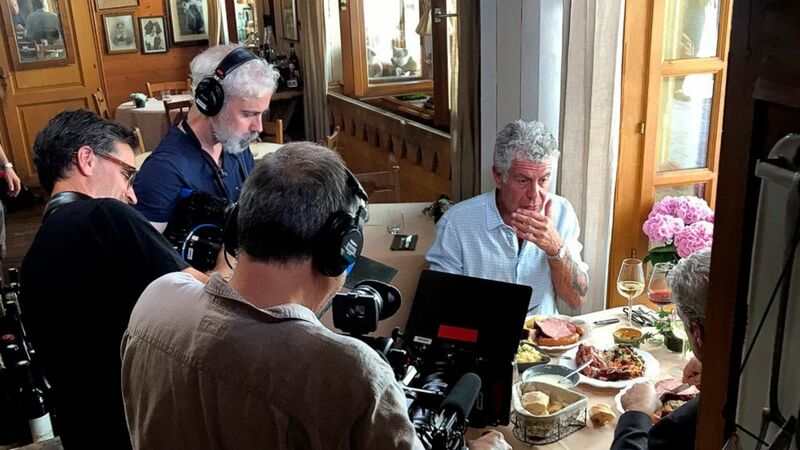 Bourdain's public persona, the only one we knew, was that of a man who loved eating and living and doing it all to excess. And by choosing to kill himself he negated all that bonhomie, that lust for life. Never mind what he has done to his family his friends and people who knew him properly, as a human not as a celebrity or TV figurine, like most of us. They tell us we can't know what's really going on and that he suffered from depression of which he spoke. A British newspaper reported his girlfriend was seen in public with another man, hinting at a reason. To me none of that matters. What matters is he presented a truer picture of life and travel on TV than I have seen. And now he has blown it all away. I am annoyed and feel let down as impertinent and as irrational as that may be. With his sudden and very private act of self immolation real life intrudes, a not subtle reminder than on TV everything is fake. What Bourdain was protesting by his death only his shade knows. 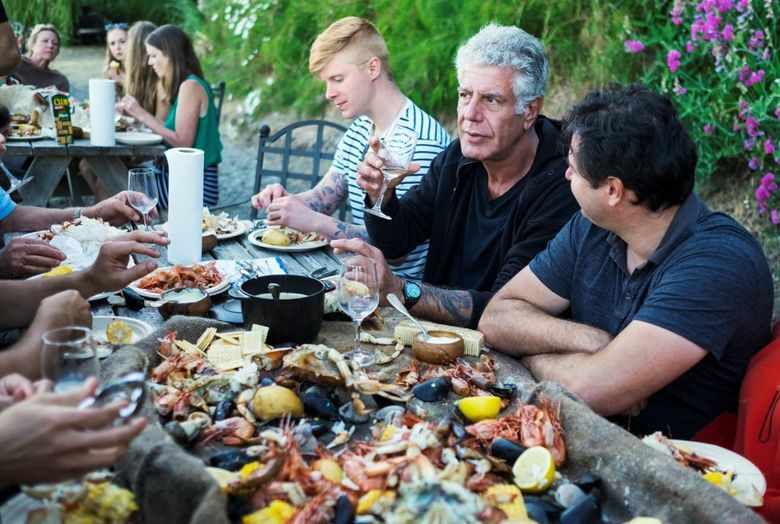 Bourdain's rejection of life pushes me to seek out travel experiences with more urgency. I am not (yet) prey to depression as many seem to be so I have no plans to off myself but I know with absolute clarity my time is limited and there is more to see and more life to be felt and endured and sometimes enjoyed. That Bourdain lost sight of that in repudiation of his successful TV character is a shame and a loss and annoying but I am still alive and able to dream and plan and hope. I'm sorry he lost his mojo and now I shall try not to let his death destroy my belief in the cultivated image he created. I like that TV version of Anthony Bourdain, the one who overcame addiction who loved life and ate crap I would never touch. I have that Bourdain alive and well and cheerful tucked away in my streaming service. The one who gave up and died is for someone else to mourn. I want and shall treasure the one I saw alive on TV. The one who taught me a better way to see when I travel.